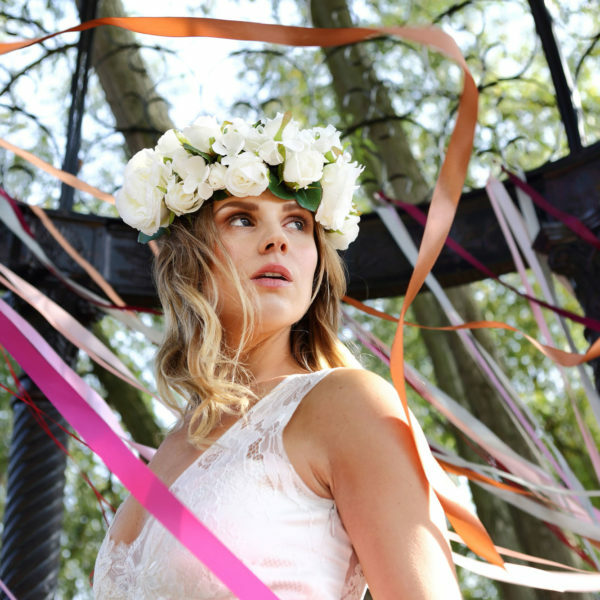 "The boho look is such a popular bridal style, and something of a go-to for the more laid back bride. It is no coincidence that it matches my own approach. I built this look around my own 'Rock n Rose' ankle cuffs....the sound of which are magical when you walk; heavy and metallic and musical. This barefoot bride, was where the inspiration began.